Cheyenne has completed week 40 this past weekend. We went for her bloodwork and physical on thursday morning. Her neutrophils jumped from 0.6 to 3.2. 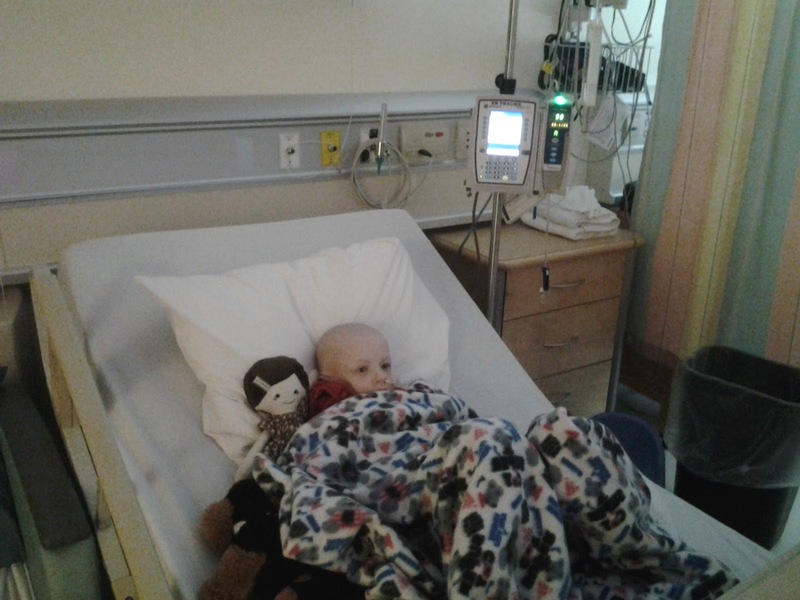 Cheyenne was admitted to the floor thursday night and chemo on friday. She handled it very well this past round. Minimal sickness friday evening, and her usual car sickness on the way home saturday. We head back in for counts and chemo this coming friday. Hopefully Cheyenne will feel chipper enough to go to school for a day this week, although I think she is enjoying hanging around home just fine.